Grrrrrrrrrrowl. The sound came from just off the trail. I paused and waited to hear it again. The trees surrounding me were so close together I could only see a few feet past them, restricting my senses to just my ears. The other intern I was hiking with, either unaware or unconcerned with the growling sound, walked onward through the jungle. I waited for a minute, hoping I would catch a glimpse of a puma, or, even luckier, a jaguar. After a long waiting period, I couldn’t detect any movement through the thick brush and began moving on, taking a nervous sip of my water bottle. The camera trap I was hiking toward was still a good kilometer and a half away, and the sun was beating down on my neck. Camera traps are a common and non-invasive way to determine wildlife abundance in an area and have become irreplaceable tools for conservation. 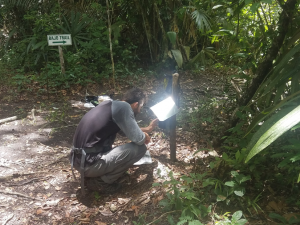 During my internship in Belize, we utilized camera traps for this very purpose concerning jaguars, pumas, and ocelots. The Jaguar Project, run by Dr. Marcella Kelly, began in the early 2000s and takes place in the northwestern region of Belize. I spent a month with the project, hiking through jungles and savannahs in search of wild cats. My somewhat nerve-wracking encounter beside a trail was the closest I ever got to seeing a cat in the wild, although the camera trap photos allowed me to see some of these beautiful animals up close. 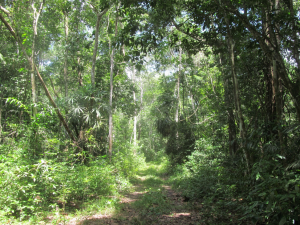 One of the trails I hiked down in search of camera traps. 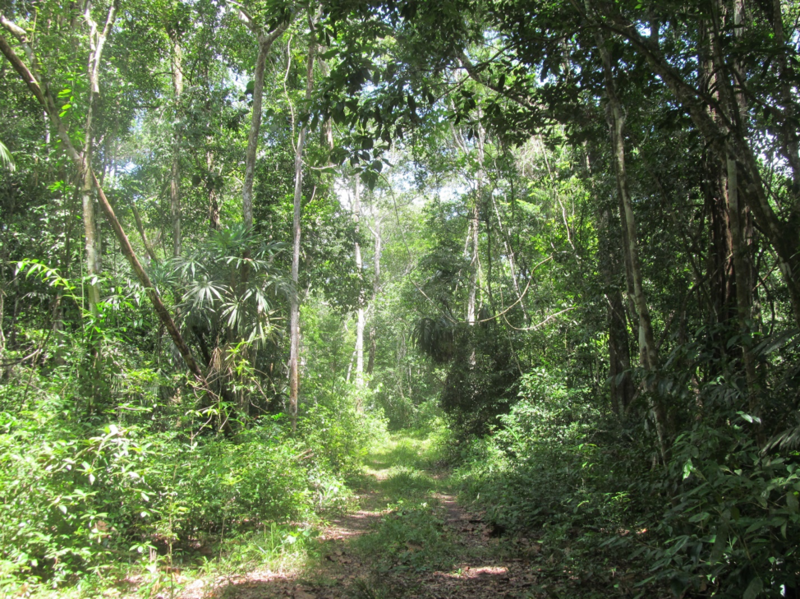 I spent most of the month checking camera traps and learning about camera placement and conservation applications. 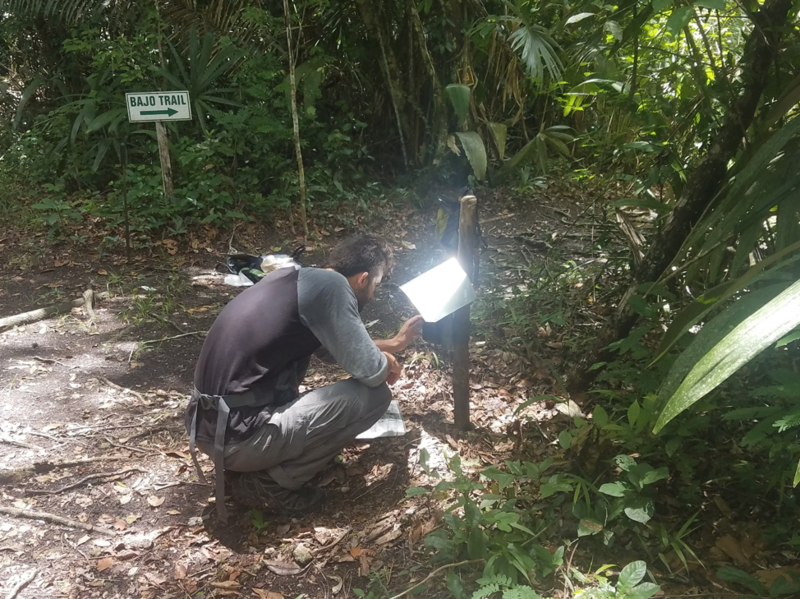 Along with a team of other interns that ranged from 10 people to two people, I hiked through miles and miles of jungle, savannah, and swamp to gather vital information on cat populations. The information was in the form of photos that would be uploaded to computers and sent to Dr. Kelly’s lab, where they could be analyzed to determine actual numbers of jaguars. These spotted cats are individually identifiable by their spot pattern. Much like tigers and their stripes, no two Jaguars have the same spot pattern. 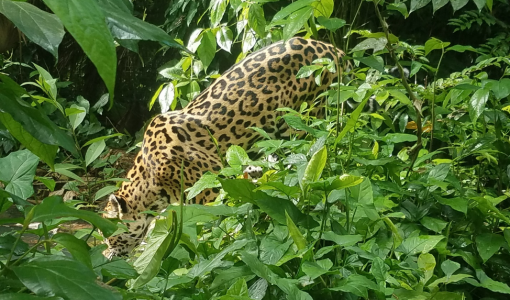 When individual cats are recognized, the number of times they appear in camera photos and the number of different individuals gave our biologists an idea of how large the jaguar population was in a given area or study site. This specific analysis can’t be done for other critters, such as pumas, that are not individually recognizable by coat pattern. 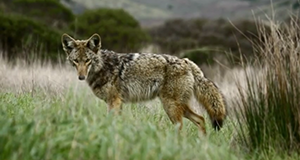 For those animals, the cameras can only tell whether pumas are present or absent in a study site. As this internship was my first experience out in the field, I learned a lot about working outdoors. First lesson: weather and terrain don’t always cooperate. The project was based in a village in Belize, and the team drove trucks to the four different study sites where the cameras were situated. The trucks constantly got stuck in muddy roads, leaving teams ditched along roads or in the middle of the jungle for hours until it could be hauled or dug out. 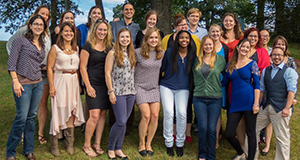 A monthlong internship was a requirement to obtain my master’s degree in Conservation Medicine from Cummings School. Students are required to work in a conservation capacity to get on-the-ground experience in conservation medicine. I have had a lifelong passion for big cats, so the opportunity to study them in the wild was simply too good to pass up! I hope to work on more projects like this in the future and will continue to promote human, environmental, and wildlife health.